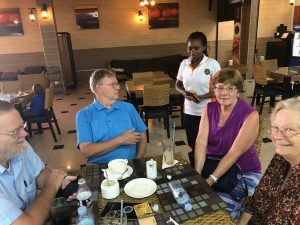 We had an encouraging meeting on Monday afternoon with Rose, who is the pastor’s wife of the church in Entebbe where we held an all day training on Saturday a week ago. She is the head teacher at a private school where she has worked for the past twenty years, and she also has raised five children. 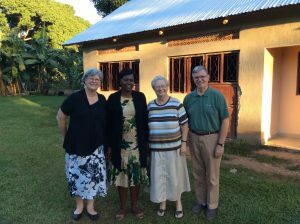 Rose wanted to meet with us to share her long-held desire to start a Christian school, but needed to know how she should go about doing that. 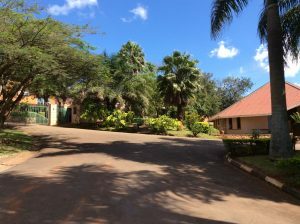 Dale and Carla went through the steps she needed to take, starting with forming a steering committee, developing a vision and a mission, etc.. We were so encouraged by her testimony and her understanding of what a Christian school should look like. She told us that she could have started a school two years ago, but now realizes if she had, it probably never would have made it. 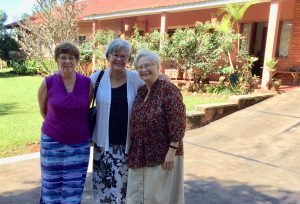 She gives much credit to the church revitalization training that Bert provided through the Shalom Church Health Network that has totally changed her thinking, and also the health of the Entebbe church. Today, Tuesday, we had the privilege to have a meeting, arranged by Nancy, with the ABU Education Department Director. 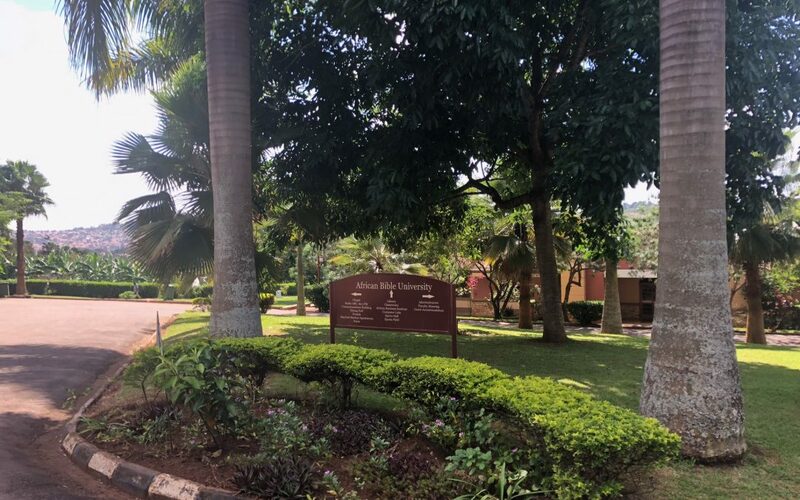 Charles was so interested in our PS78Teacher ministry, that he has scheduled us to come for a week of training for ABU students and alumni next June. He also called up the Vice-Chancellor, O. Palmer Robertson, and took us right away to talk with him about our program. 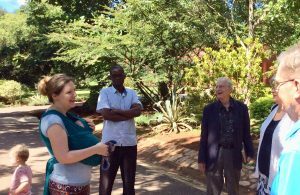 We had a sweet time of fellowship and tea with him in his home there on the campus. On the way back to the Williams, we stopped at a shopping center and had coffee and biscuits at Marie’s restaurant and also did a little shopping at Quality Market. This afternoon Godfrey and Eric came over and we spent 3 hours working with them editing the English curriculum they are revising. 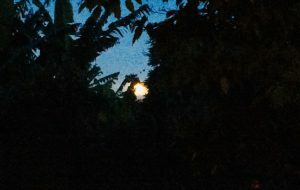 After supper tonight we had fun watching the full “Flower” moon come up on the horizon, through the trees.